The amount of money lost on pharmaceutical non-adherence is having a significant impact on healthcare costs in the U.S. 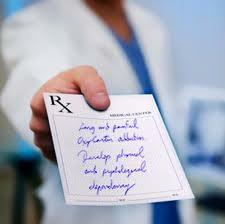 Even more significant is non-adherence related to medical instructions and the disease process. This can lead further to expensive emergency room visits, hospitalizations, and extra tests. Big data and healthcare have a clear and limitless future together. Business has been energetically embracing and implementing big data strategies in the past few years. With business tools like data cleansing and record linkage, the strategies have greatly improved service, customer relationships and financial performance. For many reasons, healthcare has been slow to embrace big data strategies. However, healthcare is now embracing the concepts of big data management and finding unlimited opportunities to manage care and financial performance.